At churches all across the country, the entire order of service now appears only on screens at the front of the sanctuary, not on paper bulletins. The conventional wisdom is that this transfer from paper to screen has been a life-saver for pastors and secretaries who no longer need to print bulletins, and a case could be made that screens serve as savers because they reduce the amount of paper and ink and other natural resources that fill our landfills and contaminate our earth. Most churches today have screens like this in their worship space. But what I have encountered in worship many times is that screens can often be a distraction to our experience of worship. When the person at the controls of the screen does not flip to the next screen fast enough, I become annoyed. When the words that appear on the projection do not match the words or the information that a pastor is discussing, I start to get agitated. And when the screen just goes blank, I find I am confused about what to do. When I was home over Christmas last December, there was a beautiful moment when all the members of my entire immediate family fit into one long pew at my parents’ church. My mom and dad were celebrating their anniversary that particular day (Dec. 27) and it was especially moving for them to see all their children with their spouses and grandchildren being together in one row in the house of God. It was a wonderful picture to me of what passing on the faith means. The love and the faith that began with my mother and father were carried on in my life and in the lives of my brother and sister and their families. The baton has been passed, and we now are called to carry on the faith to our future generations. But as we know, the pews are not as full as they once were in “our day.” Attendance at traditional worship is not as much a staple of our weekend schedule as it once was in our Christian families. That is not to say that people are not religious. It is just that they are expressing faith in different ways: at home, through online streaming worship services, through small groups at coffee shops. Have you experienced the candle effect on Christmas Eve? When I was worshiping at my parents’ home church in Iowa City, IA, on Christmas Eve, one of the most touching moments during the service was when we all lit candles while singing “Silent Night,” which is a beloved tradition in many churches around the world. And I got to thinking about what makes it so special to people and to me. I was recently part of a Christmas choir cantata at my church. We met on Wednesday nights for 6 weeks and performed with a full orchestra on the Sunday before Christmas. While I was singing in the cantata on the actual day of the performance, I got the sense that I was not really being heard and/or seen since I was a bass in the very last row in the back, behind all the other singers and instrumentalists. I sang my part as well as I could but thought no one really noticed or cared. Then the cover of my church newsletter came out and there I was, front and center, right in the middle for all to see singing my heart out! I am the one in the middle in the back row. We are experiencing a rare occurrence this year as Valentine’s Day falls on the First Sunday in Lent on the Church Year calendar. It does not happen too often, so I am curious if many parishes are making a point about it or not. 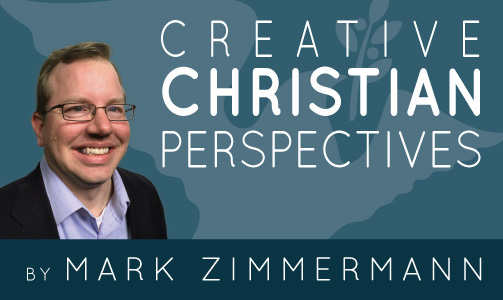 Welcome to the first post of the Creative Christian Perspectives blog. Thank you for coming on this journey of faith with me as we dialogue about what it means to be a Christian in our world today. I begin the discussion using my perspective as a senior product developer at a Christian publishing company, Creative Communications for the Parish.